Delightful two bedroom apartment in the town of Riva di Solto on Lake Iseo. The apartment is situated on the second floor with a lift service. It is directly on the lake set in a charming antique olive oil mill that was restored some years ago. The interior is impeccable with every angle of space used up wisely, high wood beamed ceilings and fitted cupboards in the lounge area, a lovely open plan kitchen and a walk-in wardrobe in the front bedroom with plenty of space throughout the whole apartment. There are 2 bathrooms one with a bath and the other with a shower and a combined laundry room. Independent gas central heating throughout. There are views onto the lake and the antique 12th century church from the front windows of the apartment and from the rear windows there are views onto a babbling brook and enchanting garden. There is around 80mq of space internally and it comes complete with a single garage and a separate storage space included into the price. 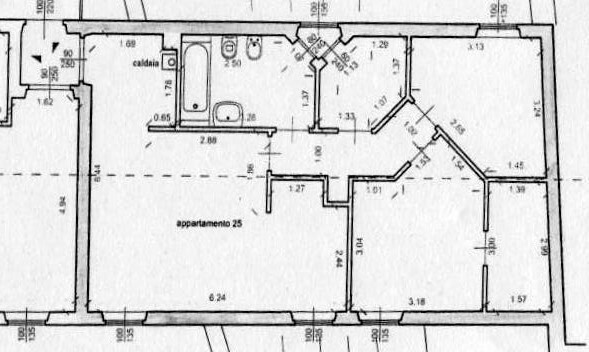 The kitchen and some fitted cupboards are included. Walking distance into the town and local amenities, shops, bars, lake and restaurant. A really delightful location and superbly kept apartment. The town of Riva di Solto is on the northern side of Lake Iseo and is a historic medieval town offering a quaint town center with a small camping site, bars, restaurants, shops, and a small supermarket. There is also a ferry stop where you can visit the other towns along the lake. It is also a 15 minute drive to the town of Lovere which is the largest town in the northern part of Lake Iseo. It is a magical town offering a panorama that you will rarely admire. From here you can take the coastal road which will take you to Lovere, here you can admire the tight narrow roads with its fantastic rock formation and splendid cascades and water falls which are a picturesque backdrop to the lake and unique to Lake Iseo. Towns close by include: Solto Collina, Fonteno, Endine, Sovere, Castro and Lovere. The airport in Orio al Serio in Bergamo offering numerous European flights and destinations is about 30 mins from this location. Airports, including Linate, Malpensa and Verona is around one hour and forty minutes.